The second and final part of our sleep series takes a look at the impact of long and short day time naps and suggests some changes which may help reduce challenging behaviours. Nanna, power or cat nap, heads to the z’s, quick kip, catching forty winks or taking a siesta! Whatever you call it, a nap in the day not only reduces sleepiness, but can actually be good for our cognitive function. Indeed, some of the world’s notable figures would take some afternoon ‘shut eye’ including Winston Churchill, John F. Kennedy, Napoleon, Albert Einstein, Leonardo da Vinci and Thomas Edison. Clinical Neuropsychologist Professor Sharon Naismith says having a day time nap is superior and can help us remember things more and assist with memory consolidation. “Much of the work has been done with younger people, but a brief nap of 10 or 20 minutes improved alertness for a couple of hours,” she says. Professor Leon Lack from Flinders University led a study into the effectiveness of power naps. Writing in The Conversation, he points out not only are cognitive functioning and psychomotor performance (the brain telling the body to move) improved but a few minutes of shut-eye also considerably enhances short-term memory and mood. Napping can also help overcome jet lag after travel across time zones. 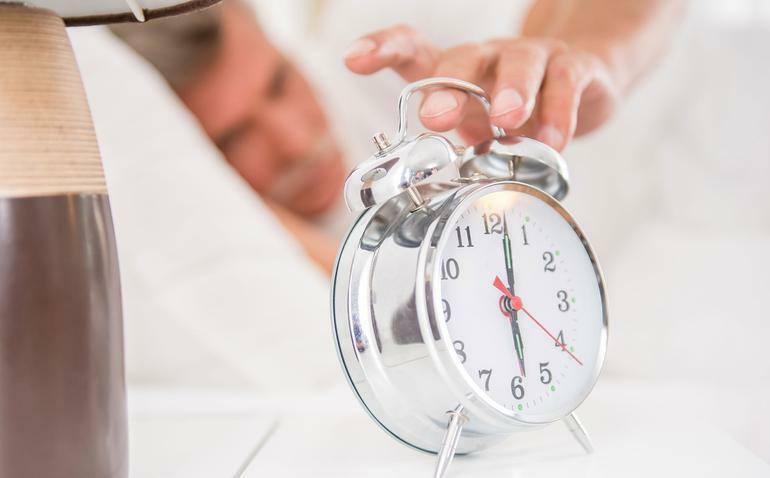 Prof Naismight says it does take us longer to ‘bounce back’ from for example jetlag says Prof Naismith; a daytime nap may help adjusting to the country’s time zone quicker. Furthermore, as well as improving cognitive function, a quick shut eye has other health benefits. Greek researchers tracked over 23,000 men for six years and found those who napped three times a week had a 37 per cent reduced risk of dying from heart disease. When it comes to taking longer sleeps (more than 30 minutes) during the day, we usually enter slow wave (stage 3 or 4) or deep sleep. Prof Naismith says we often experience sleep inertia (grogginess) when we wake up, and this can last for up to half an hour. “However, the benefits of a longer nap are longer lasting,” she says. Slow-wave sleep also helps with remembering as this is when the brain experiences a burst of neural activity known as sleep spindles; these have been associated with the integration of new memories and existing knowledge. The downside of taking a nap in the day, particularly a longer one, is it may affect our ability to sleep at night. However, this can be used to some people’s advantage. Prof Naismith suggests if older people get tired at night but need to go out late in the evening, taking a 30 – 40 minute nap during the day may help them enjoy staying out later. She also believes these longer naps, together with little cognitive stimulation and physical exercise during the day, can lead to challenging sleep behaviours at night. She thinks improving physical exercise, and a better use of light to control sleep problems may alleviate some behavioural problems and suggests aged care facilities could be doing more. 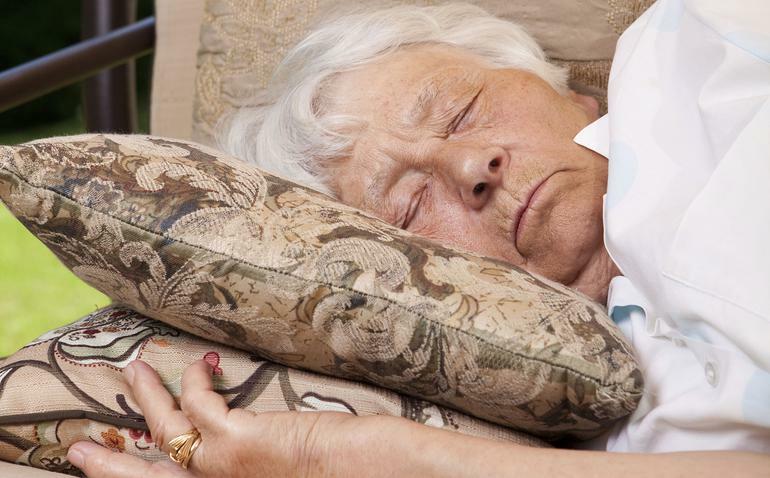 “People should be sat near a window, or taken outside – this may be better for them than [carers/staff] thinking ‘oh they are a little bit sleepy, let them have a sleep’,” says prof Naismith. She points out keeping brains active during the day can also help people sleep better at night. Only using the bed for sleep instead of lying in it for a length of time, and getting up at the same time so melatonin production is suppressed may also help improve sleep patterns. Body temperature also impacts the secretion of melatonin – if we are too hot, we produce less, and can’t sleep. Prof Niasmith suggests a hot bath or shower or physical exercise within 2 hours of sleep time should be avoided by anyone having difficulties sleeping. However, some people just produce less melatonin when they age and there are prescription drugs to help increase levels. Overstimulation may also contribute to poor sleep. Prof Niasmith suggests keeping the lighting down. “Lights kept dim don’t activate brain,” she says and adds people who are highly anxious should try to allow time for relaxation. Stimulating activities should also be avoided; some sleep experts say one of the biggest sleep distractions now is the 24-hour accessibility of the internet. Stimulants such as caffeine, alcohol, and nicotine can also interfere with sleep. Sleep disruption and sleep disorders have also been linked to low serotonin levels. Serotonin is one of the most important ‘feel-good’ neurotransmitters, a chemical messenger passed between nerve cells. In some people, increased levels of Vitamin B and natural sunlight may help, while others use prescription drugs.